I originally made this for cthru, and never uploaded it to MTS. However, I lost all my sims stuff in a hard drive crash and was lucky to get this back. I'm hoping MTS will look after it for me and give it a safe home. 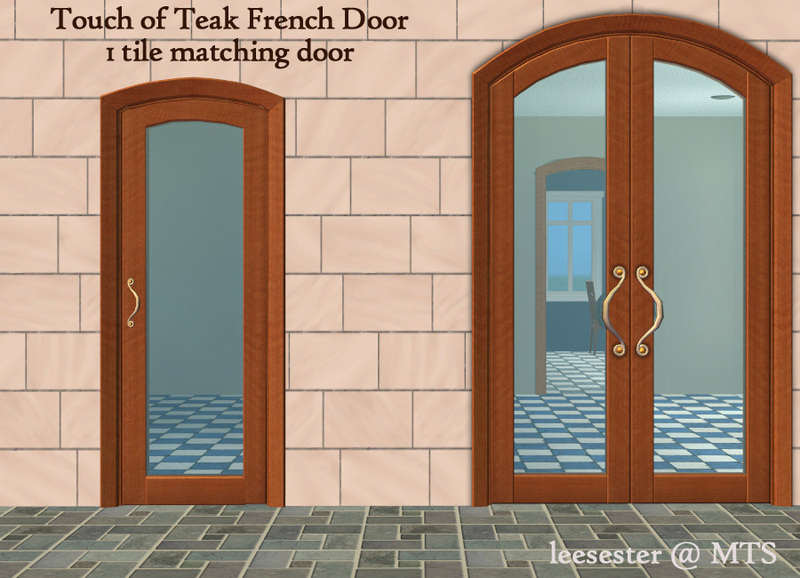 Its a remesh of the Touch of Teak French doors from the base game, shrunk down to a one tile door. Its NOT a perfect match - if I had kept the height and the curve of the arch exactly like the original it would have looked long and pointy and not really matching at all. See the two together. This door has blue glass - like the original - (otherwise it would not have matched). 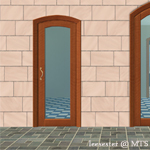 The poly count is not really optimal, but no worse than a lot of Maxis doors. I have a fairly rubbish PC and it can handle many doors on a lot. 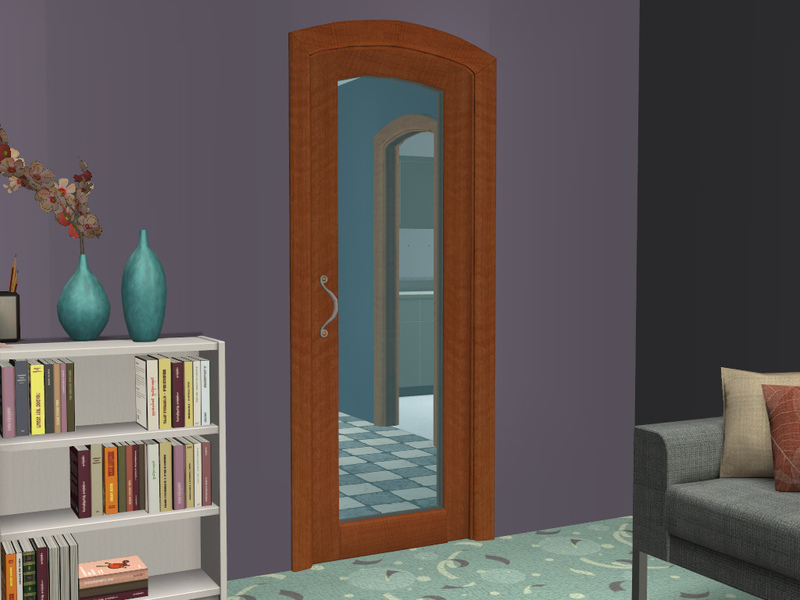 Repository technique, so all recolours for the original double door. 1164 Polys, straight and diagonal.